The Perspective Section of the Denver Post had several articles on New Urbanism in preparation for CNU 17. Susan Barnes-Gelt writes the introduction. She was a city council woman in Denver and we’ve served on some AIA committees together. June Williamson writes about retrofitting suburbia. June currently teaches at CUNY and I know her from the time we were both at Georgia Tech. Norman Garrick, from UConn, writes about Stapleton, LoDo and Belmar. Peter Calthorpe who is one of the original new urbanists, writes an article titled “The Stapleton paradigm admirable“. I have to imagine that he didn’t come up with the title, given that he’s the planner behind the design. Today we’re celebrating one year of EVstudio.info. On May 30, 2009 we started our near daily blog about architecture and what we do as architects. Most blogs about architecture are primarily reviews of other people’s work. We wanted to fill a different hole and talk about the basics to demystify architecture and answer a lot of the questions that we frequently get from clients. Its also fun to see how EVstudio has grown in that time. We’ve added an additional office and several staff along with working on many exciting projects.There are a number of other exciting things in the works, so keep reading. Many of our clients have asked about getting more information on the new Denver Zoning Code. The city has set up a website to explain the changes and how the process is moving forward. It is important for anyone with property in Denver to evaluate how the new code will affect your property. It took 53 years to get this update, so its the right time to have your input heard. The draft code is supposed to be on the site by the end of the month and I’ll plan to give you more information when it is available. 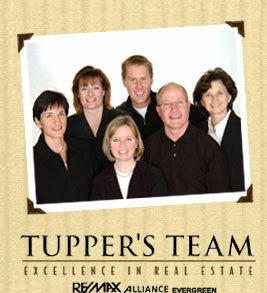 One of the best known realtors in Evergreen, Colorado is Tupper Briggs. Tupper’s Team is a part of Re/Max Alliance Evergreen and sells homes and land in Evergreen, Conifer, Morrison, Golden, Genesee and Lookout Mountain. EVstudio has been added to their list of favorite businesses. They’re defintely one of EVstudio’s favorite Evergreen businesses. On Tuesday, the Today show featured a story with their real estate expert, Barbara Corcoran. She listed five real estate markets ready to rebound. The reasons included job prospects, growing population, good weather, new buyers, no overbuilding, vital downtowns, well educated population and early foreclosures. I’m glad we have our offices in the #1 and #3 markets. This is a good time to talk to an architect and get your project ready to bid. Elicia Ratajczyk with our Evergreen office has been promoted to “Associate” with EVstudio. Elicia joined EVstudio in 2007 after several years working with the National Parks Service and the National Forest Service doing historic preservation, architectural and cultural landscapes work. She has both a Bachelor’s and Master’s degree from the University of Colorado, is a LEED Accredited Professional and has completed the Intern Development Program. While at EVstudio, Elicia has been an integral part of many project teams. Those projects include among others the Diamond Office Building, the Mintz Residence, the Dickson Residence and the Fisher Early Learning Center Remodel. She has also been the driving force behind our LEED project efforts with the CA on Evergreen Terraces, the sustainability consultation for the NYC LEED condos and for Dyerich Flooring. In addition to being a great designer, she’s also very involved with the community. Elicia has led the effort for the USGBC Emerging Green Builders Competition the last two years along with organizing EverGreen Drinks. She’s recently taken on the role of Construction Committee Chair for the Blue Spruce Habitat for Humanity group. We’re very excited to have Elicia taking on the Associate roles at EVstudio. 1.) Aren’t Architects eccentric and unapproachable? While Hollywood movies often like to depict Architects as elitist, eccentric and generally too good to talk to you (watch or read “The Fountainhead” some time), this is simply not the case. We are ordinary people who just happen to have creative and scientific minds. We have families and hobbies outside of our work. Some communicate better than others, but rest assured that working with an architect should not be an intimidating experience. 2.) All Architects are the same and will do the same job. Well, that’s just crazy talk. Consider the countless variables that go into any design task. Every architect will bring a unique combination of experience, creativity, science and discovery to every project. Sure, we’re trained in the basics and we all know what the golden ratio is all about, but what sets us all apart is our individual ideas and how we implement them. It’s also worth noting that every firm has a different workflow process and crafts a set of plans differently, including more of some kinds of details while eliminating others. Be sure to look at a sample set of drawings from whomever you are speaking with. 3.) I can’t afford an Architect. This one is probably the largest and most misunderstood myth. Design is the one task on every project that stands to carry the most value for the entire project. The design can make or break the realization of the project. Also, when you consider that the origination of just about every structure in the world is the direct result of an architect, planner or designer in some form or another, you realize that good planning and design is as important, and as integrated in the overall cost of a project as any other line item. Tract housing is designed by architects. Affordable housing is designed by Architects. Even mobile homes require talented designers! If the total project budget is appropriately crafted, then there should be a line item for architecture. Also consider that often, an architect’s fees may be similar to a realtor’s fees to market and sell a property, and then things really fall into perspective. To put it simply: you get what you pay for! 4.) Aren’t Architects the ones who draw the pretty pictures? But can it really be built? This may personally be the most frustrating myth for me, but that is because I also have an engineering background. This myth is likely perpetuated by a number of folks who perhaps once studied architecture, practiced architecture, but have transitioned into more of an “idea architect” where they come up with an inspired image, then let the others figure out how to build it. However, a qualified full service architect will understand structure and geometry alike. Architects are trained and tested on structure and while not all firms practice engineering in house, they are adequately experienced to design buildable designs. Both sides are important, you do need the inspired idea, but also the logistics to support it. 5.) I don’t want a big expensive home, so I don’t need an Architect. A huge misconception about architecture is that it is only for the rich. As I mentioned in #3 above, every building needs a designer. While it is true that some firms will specifically market certain types and sizes of projects, the bottom line is that more often than not, the smaller homes have been architect-designed as well. It certainly is worth noting that the smaller the project, the more challenging it can be to design, and therefore, we often find that there is an inverse proportion to size of project and the need for a qualified architect. 6.) I’m worried that if I hire an architect, I’ll be forced into having to go with their style. There are plenty of designers out there that have branded themselves as being experts on a particular style of design, be it the prairie style of Frank Lloyd Wright, the Arts and Crafts style of Greene and Greene, or the International style of Le Corbusier. However, this tends to be more a personal preference from architect to architect but we are all trained in good design regardless of style. A good client-centered design firm should listen to the client’s needs and craft a design that speaks to the client’s desires, in a style that suits the client. But be watchful for the firms that do not put the client’s needs first – for a lot of reasons! 7.) I don’t have time to work with an Architect – I need to get building right away. People like to romanticize about Architects pondering the quality of space for years before construction can begin, but this is not how we work. We are driven by the very same economics that drives developers: time is money. The fastest way to get through accurate bidding, permitting and into the ground is by going through an architect hands down. Architects are trained to expedite projects whether it’s a home or a hospital. Often times, projects are even run design-build so a lot of design actually happens concurrent with construction and is the fastest delivery model available. And if you think cutting the design out of the schedule is a good way to save time, you’ll have a sobering experience waiting for a building permit, not to mention the delays and change orders that come with an ad-hock plan (or worse yet, a plan that was designed for a different site and a different program). 8.) Architects must only specialize in residential or commercial design. This one always comes up at parties. I tell people what I do for a living and 9 times out of 10, the very next question is “residential or commercial”? Now, it is true that design firms will try to go after specific project types as a part of their core business model, but to an individual architect, designing any building type is a comprehensive process that we are all trained to do. I simply tell people that I design buildings (and often times other things like furniture as well). It’s not really about size of project either because some single family homes are larger than other commercial offices. And there are plenty of “residential” projects that are very commercial in nature – mixed use projects, live-work lofts, high rise condos and apartments. Even condotels and dormatory style housing. On thing is for certain, the ability to leverage what we know from one project type to another is priceless, to the more varied the projects an architect has the opportunity to work on, the more creative and innovative they wind up being. 9.) Doesn’t the architect need to be located near me or the project site? I’m a big advocate of seeing the project site before starting design, but the truth is, that with today’s technology allowing us to model that site topography in 3-D complete with a solar study based on the location coordinates, and see the property virtually via digital photos and movies that can be e-mailed, and satellite images readily available in Google, it’s not really a necessity as it once was. We have designed projects in remote places for clients that are even farther away. The tools and technology we use have allowed design collaboration in ways never before imagined. I regularly design buildings for out of state clients on sites that are in yet another state, and coordinating with a materials supplier that is out of the country. That is how easy it has become. 10.) The design process sounds daunting and painful. Well, of all the steps that one will take to build a home, office or highrise, I think most who have done it would agree that the design phase is the most fun step of them all. It is the time to dream, explore and discover. There is a lot of learning that goes on, but at the same time, it is open ended and fluid. We look at the design process as having part entertainment value to the client. It should be fun and we go out of our way to make it so. You are currently browsing the EVstudio Architecture, Engineering & Planning | Blog | Denver & Evergreen | Colorado & Texas Architect blog archives for May, 2009.